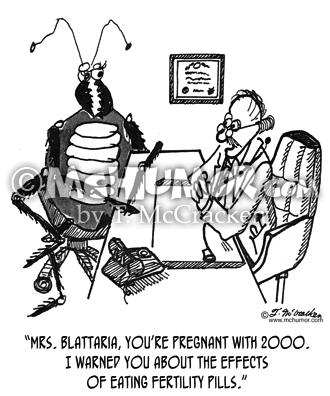 Cockroach Cartoon 1984: A doctor says to a huge cockroach, "Mrs. Blattaria, you're pregnant with 2000. 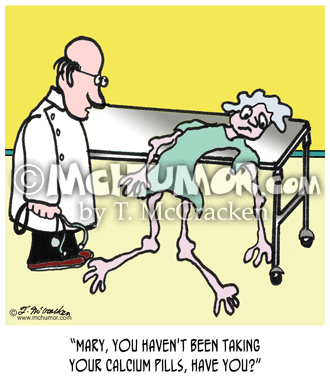 I warned you about the effects of eating fertility pills." 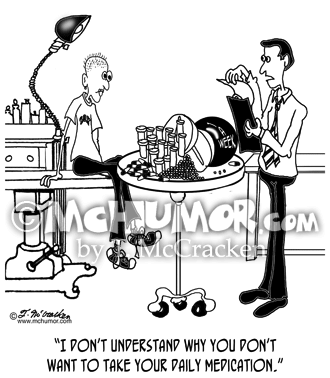 Pharmacy Cartoon 8328: A table in front of a patient is full of pills, some the size of a bowling ball. 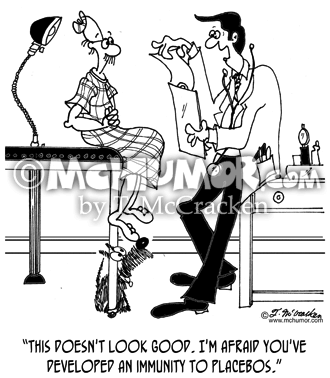 A doctor says to her, "I don't understand why you don't want to take your daily medication." 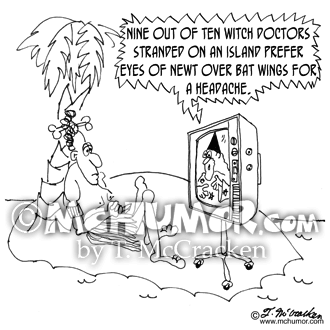 Placebo Cartoon 7813: A doctor says to a patient: "This doesn't look good. 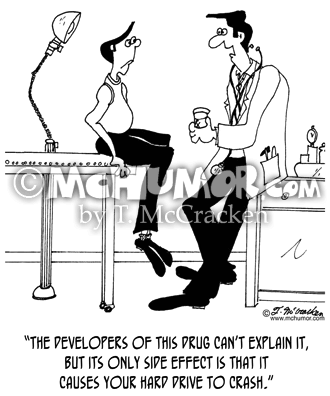 I'm afraid you've developed an immunity to placebos." 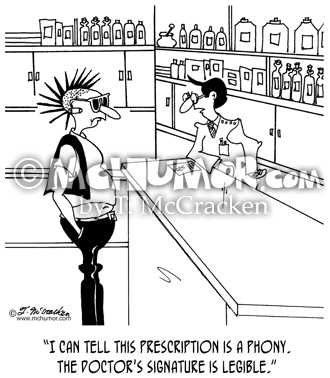 Drug Cartoon 5359: A pharmacist saying to a shady looking character with a prescription form, "I can tell this prescription is a phony. 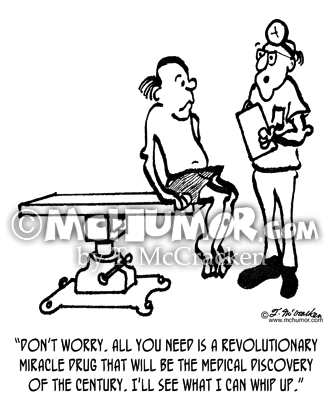 The doctor's signature is legible." 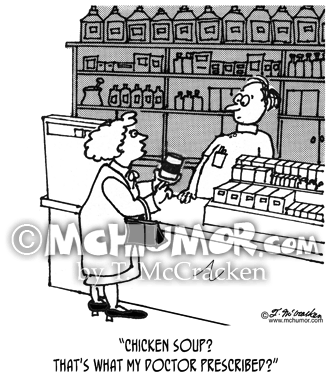 Pharmacy Cartoon 3113: Woman at pharmacist being handed a can says, "Chicken soup? 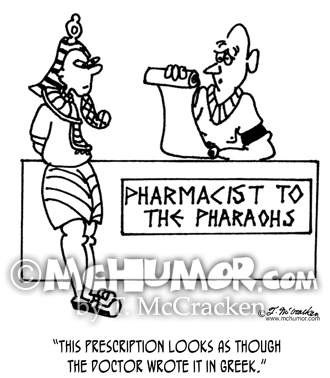 That's what my doctor prescribed?"